About Plugins or What are Browser Extensions? 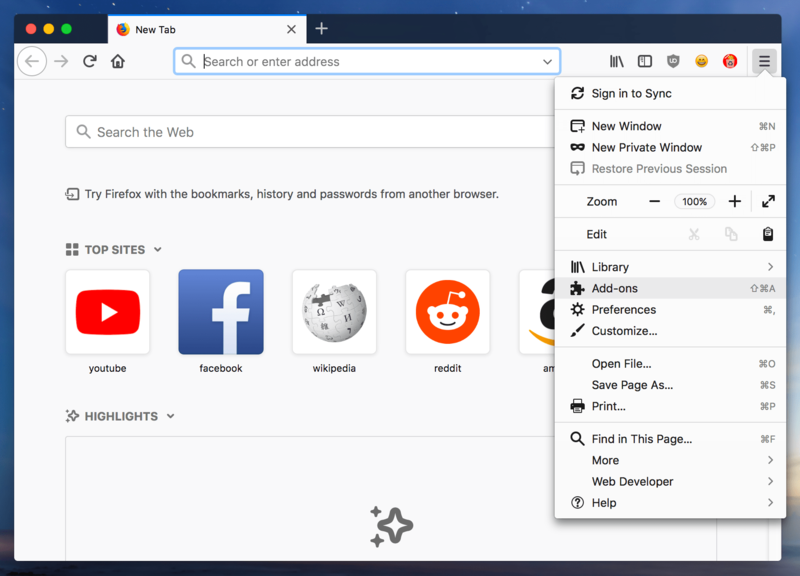 Browser extensions are useful tools to make your experience with Chrome, Safari, Firefox, Opera or any other browser as convenient as possible. If you are wondering what are the plugins, the answer is the same. Extensions, plugins, add-ons are all synonyms. Extensions provide an opportunity to extend the browser’s capabilities and apply additional functions, such as viewing office documents in the browser window, checking email messages in automatic mode, showing the weather forecast, and much more. 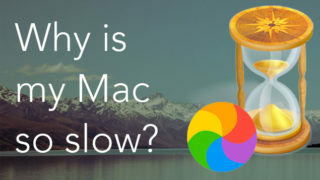 But it sometimes happens that your browser starts to slow down because of a large number of the extensions. 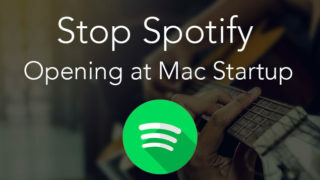 Some extensions may even be used as malicious software that changes your start page or the search engine or allows annoying advertising pop-ups. Fortunately, browser extensions can be removed as easily as they were installed. 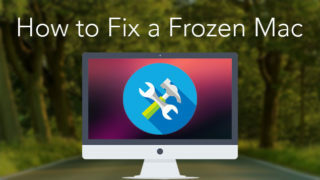 In this article, we are going to highlight how to remove extensions, stop plugins, and disable add-ons. 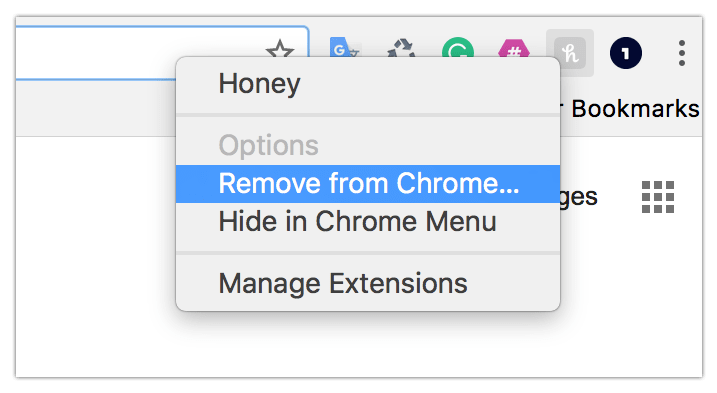 How to disable Chrome extension. How to remove Mozilla Firefox add-ons. 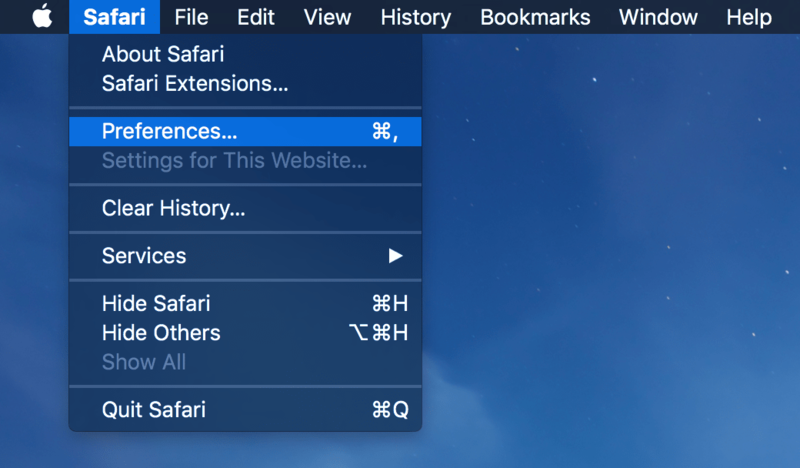 How to remove Safari extensions. How to remove add-ons – an alternative way. 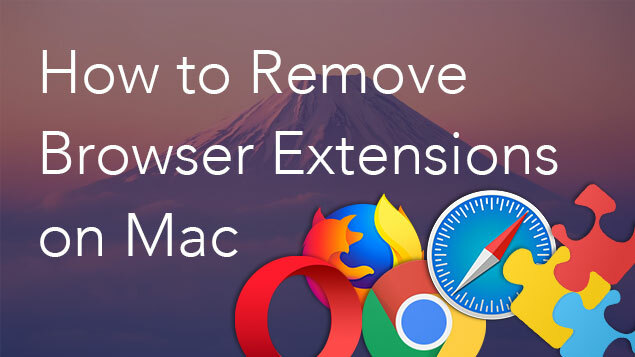 How to remove browser extensions using App Cleaner & Uninstaller. If the unneeded extension has an icon in your browser toolbar, then, to disable the Chrome extension, you just need to make several clicks. With this icon, you can either customize the extension or delete it. Let’s take a look at an example with the Honey browser extension. Then, in the pop-up window, just confirm the deletion. Click the three-dot icon in the upper-right corner of the Chrome browser. 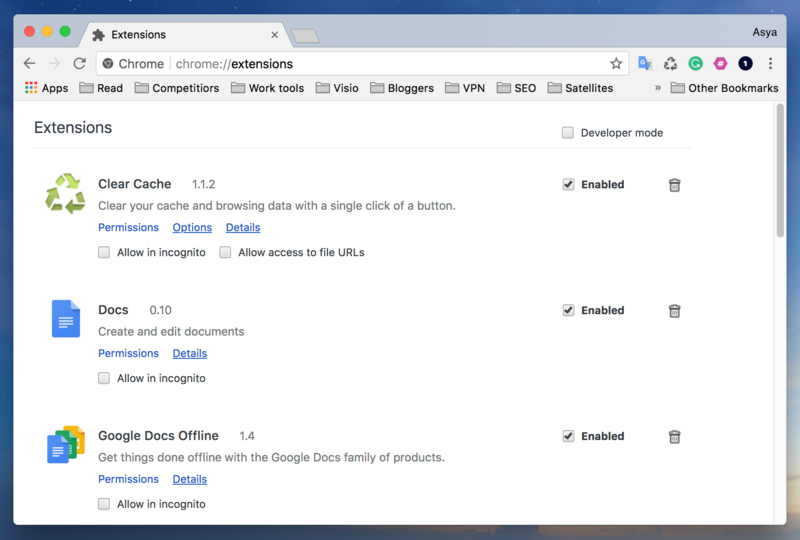 In the menu that appears, select the More Tools option → Extensions. You will see the Extensions page with all the installed plugins. To turn off the extension, just uncheck it in the box. If you want to delete it completely, click on the Trash icon. Again, a confirmation window will appear. If you are sure you no more need the extension, click to Delete. Restart the browser, and the deactivated or deleted extensions will no longer work. Open the Firefox menu from the browser’s right pane and select Add-ons from the drop-down list. You will see all Mozilla Firefox add-ons. In front of each unneeded extension, click the Disable or Remove button. After this, restart Firefox and check that the extension is no more in your browser. The Apple default browser Safari doesn’t provide as many extensions as its competitors – Chrome or Firefox. But the developers have not bypassed it, so, after a long period of use, the web viewer can seriously be cluttered by the extensions that have lost their relevance or performance. Here’s how to uninstall Safari plugins. Go to the Safari Preferences from the Menu bar. Switch to the Extensions tab. Here you will find a list of extensions installed on Safari. Click the corresponding Uninstall button to remove plugins in Safari. 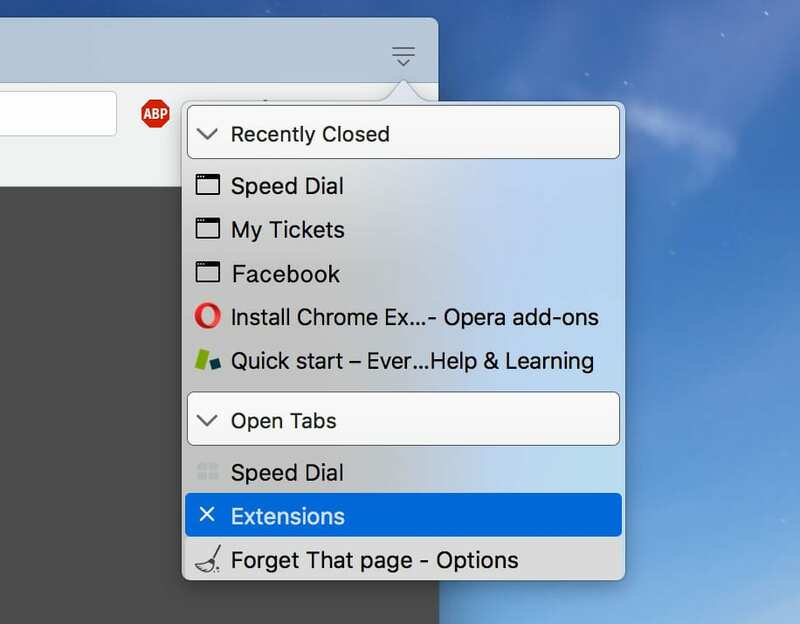 In the right top corner of Opera browser, click the Settings button and select Extensions. In this section, you can disable unwanted extensions, delete them, or change the settings. In case you disable any of them, you need to restart your browser itself so as to disconnect them. To remove an extension, you need to click on the cross, and then confirm the operation. Close your browser, for example, Safari. Open the Finder and use the Command+Shift+G shortcut. In this folder, you will find a list of the extension files. Remove the unneeded files. You will find the last way to operate plugins the most convenient. 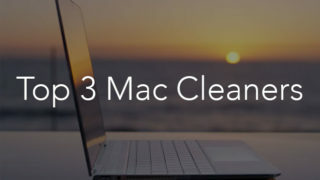 With the help of just one tool, App Cleaner & Uninstaller, you can delete the add-ons of any browser and even other application extensions on your Mac. 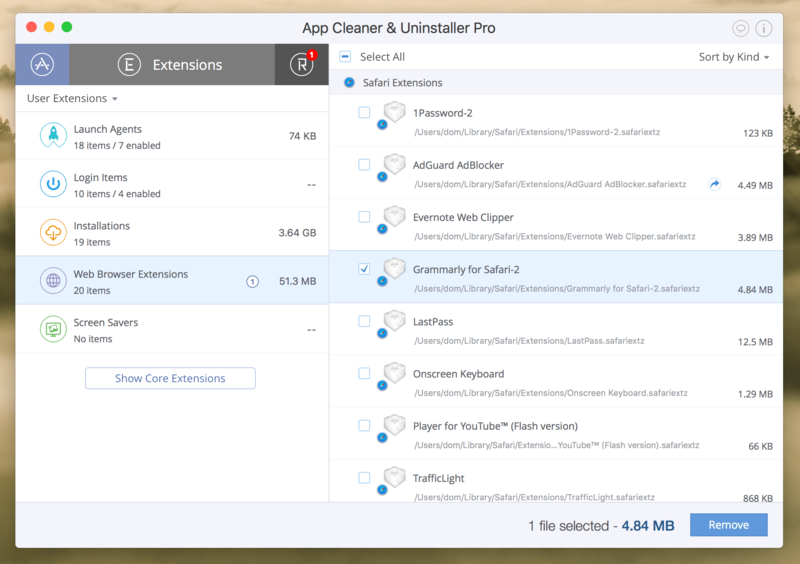 App Cleaner & Uninstaller has lots of useful features to clean up unneeded service files and speed up your Mac. 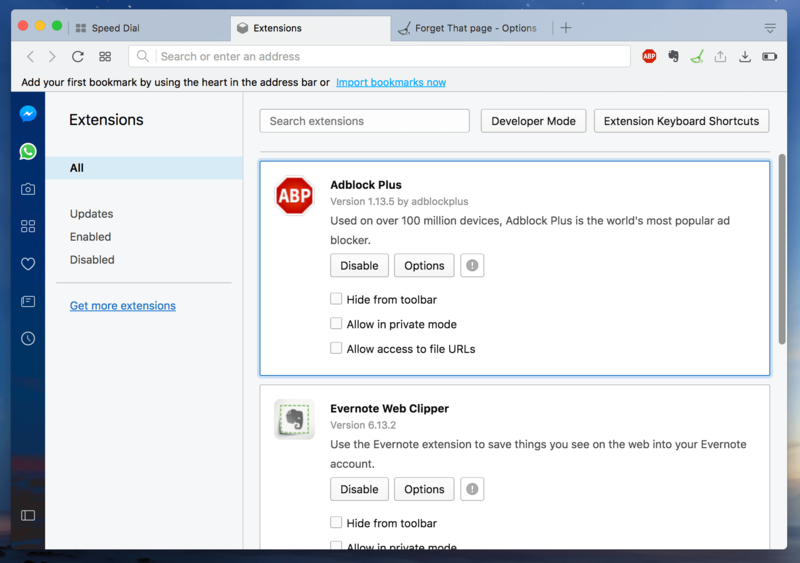 In the Extensions section of the app, you will find a list of all your browser extensions. Here, you can select the unneeded extension and click to remove it. 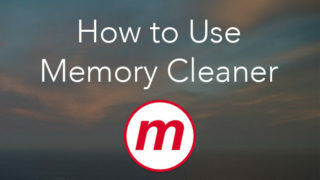 *You can use App Cleaner & Uninstaller as well to uninstall applications correctly and completely on your Mac and to find and remove the leftovers of apps you’ve removed by just dragging and dropping them into the Trash folder. That’s all. 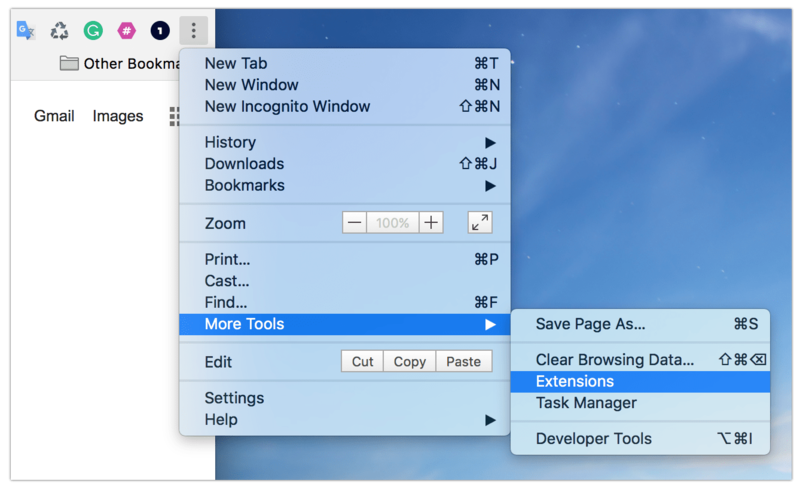 Now you know how to delete browser extensions quickly and easily. We recommend that you disable those you do not use as they consume a lot of RAM memory and as a result slow down your browser performance. After removing all unnecessary extensions, we recommend that you read our other article about how to delete search history of the browsers.